The latest screenshot from Super Smash Bros. 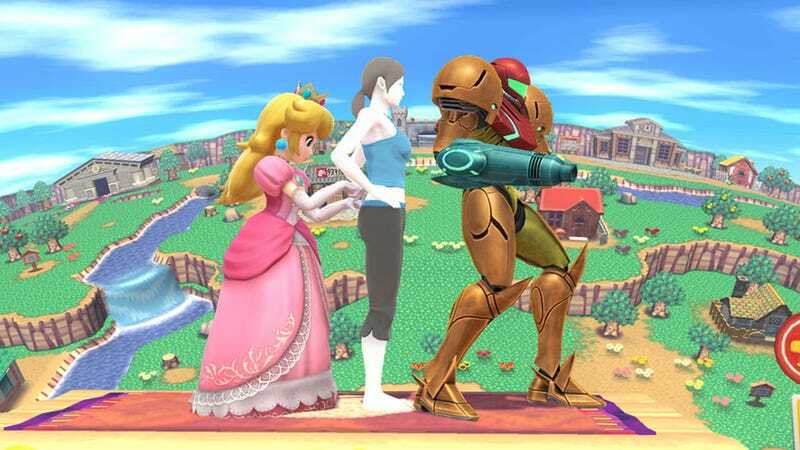 The latest screenshot from Super Smash Bros. Wii U, shared by Masahiro Sakurai, raises a few questions. Compared to the other female characters, shouldn't Samus be much taller and more robust? And what on earth is Peach doing at the end of the line?